John Carpenter | No Chic. Just Geek. The good thing about going to see a film called Halloween on the actual day of Halloween is that you can be pretty certain you’re at or near the peak when it comes the appropriacy of your choice of movie. The bad news, if you fill the long hours by maintaining a light-hearted film review blog, is that your thoughts on the film are likely to be of little real topical interest to anyone stumbling across them – who cares about Halloween once we hit early November, anyway? Everyone is just busy growing moustaches or writing novels. Yet here we are: Halloween, directed by David Gordon Green, and produced by Blumhouse, a company which currently rules the roost when it comes to making ultra-lucrative low-budget horror films (they also made the really good non-genre movie Whiplash). As you are doubtless aware, this is far from the first film entitled Halloween to be unleashed upon the public. The new Halloween is the tenth sequel to the original 1978 film – this is another example of a follow-up having exactly the same title as the film it’s based on, something which only seems to happen with John Carpenter movies (see also The Thing). The new movie takes the Godzilla-esque approach of disregarding the nine previous films in the series (which wandered off into some fairly peculiar territory and didn’t all share continuity anyway) and being a direct sequel to the 1978 one. It opens with a couple of self-regarding and pretentious online journalists (Jefferson Hall and Rhian Rees) visiting a psychiatric institution for the criminally insane in order to attempt to interview Michael Myers, who has been incarcerated there for forty years after murdering five people for no apparent reason on Halloween night. Michael’s shrink, Dr Sartain (Haluk Bilginer), has become fascinated by his patient, but warns the journos that the killer is ‘dormant’ and has not spoken in all his time at the facility. And indeed he refuses to respond to their questions, even when one of them produces the shrivelled remains of the mask he wore while committing his crimes (this is, famously, a William Shatner mask painted white). This is, by the way, a superbly orchestrated scene: the iconic mask is brandished like some kind of unholy fetish, with the other inmates of the facility stirred into a frenzy of moans and whines and a distinct sense of some primordial evil being summoned back into existence. The smash cut to the title card and the appearance of Carpenter’s justly famous theme music puts the shine on a very strong opening which the film largely does justice to. The thing about a Halloween movie is that it’s easy to get carried away and over-plot it: these films are basically about the bogeyman, an apparently unstoppable force of pure evil who kills for no rational reason. 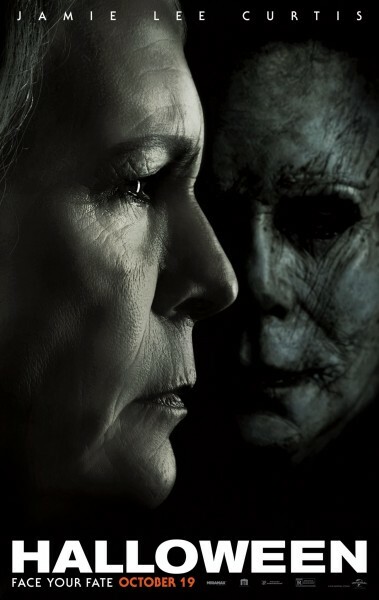 Previous sequels introduced notions of occult curses and Michael being fixated on killing members of his own family, this latter idea being introduced to rationalise his extended pursuit of Laurie Strode (Jamie Lee Curtis), as increasingly laborious methods of putting new spins on the basic idea. The new film makes reference to the idea of Michael and Laurie being siblings, but dismisses it as an urban legend. Instead, it seems that Laurie was just in the wrong place at the wrong time, and has paid the price for it ever since: forty years on from the first movie, she is a damaged, paranoid woman whose relationships with her daughter (Judy Greer) and granddaughter (Andi Matichak) – she has basically turned into Sarah Connor from Terminator 2, obsessed with preparations for the time when Michael inevitably returns. Now, I’m no more a fan of the occult curse or long-lost sister plotlines than most people, but they do give Michael (credited, as is usual, as ‘the Shape’) something to do beyond just carving up random people (to be fair, he broadens his palette to include garrotting, strangulation, and blunt-force trauma this time around). Carving people up at random just about works for a film where the protagonists are unsuspecting everypersons being menaced, but here there is a much stronger element of role-reversal: both Laurie and the local sheriff (Will Patton) are tooled up and actively hunting Michael, giving an odd double tension to the film. The film is really at its best in the extended sequences leading up to Michael’s actual attacks (which are, you will not be surprised to learn, frequent). At these points the film basically becomes a battle of wits between the viewer and the director as the latter attempts to mislead and surprise the former – is Michael going to turn out to be in the closet? Is he outside in the garden? Lurking on the stairs? Green is rather good at this, and restores a good deal of presence and menace to one of the great horror icons of the 70s and 80s – less annoying than Freddy Krueger, less of a fantastical cartoon than Jason Voorhees, Michael Myers is practically shy and retiring as far as homicidal forces of pure evil go, and the film carefully walks the line between depicting Michael as an exceptional but still human threat, and suggesting he is the vessel for some supernatural power. Also getting good material is Jamie Lee Curtis, and the clash between these two old enemies at the climax of the film is tense and engrossing. One of the themes of the film is the baleful effect Michael has on those who come into contact with him and survive, and Curtis has a lot of meaty scenes as someone almost pathologically obsessed with refusing to even contemplate being a victim again. There is perhaps a whiff of the Unique Moment about the film, with three generations of Strode women coming together to combat perhaps the ultimate predatory male, but then I suppose the whole trope of the Final Girl represents this in some way. For the most part, though, this is a film which feels quite self-consciously retro in its approach to the story – an act of reverence towards one of the foundational texts of American horror cinema. It revisits the old beats rather than doing anything especially innovative, but does so very well – the only issue being that Haluk Bilginer, to some extent filling the Donald Pleasence role in the plot, ain’t no Donald Pleasence. Nevertheless, it’s an engaging and scary film and one that discharges its obligations with some style. I can imagine the Halloween franchise advancing into the future for many years to come, propelled by remakes and sequels and reimaginings, assuming that those responsible for it treat it with the same kind of care and respect shown here. If you were going to nominate someone as the exemplar of the Great Cult Movie Director, you could do a lot worse than choose John Carpenter, I would suggest. 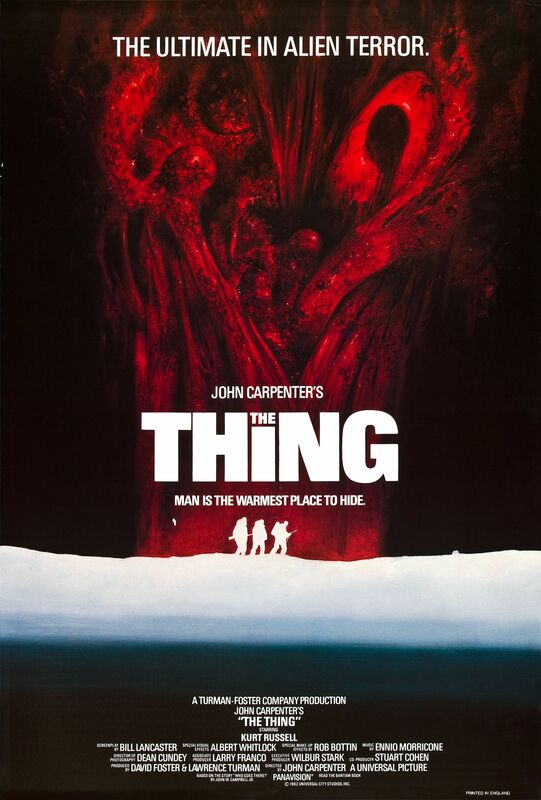 This is not to suggest that Carpenter never had any kind of mainstream career, or indeed commercial success, but if you make a list of all his best films – including, I would suggest, The Thing, Escape from New York, Halloween, The Fog, Assault on Precinct 13, They Live, the list goes on and on – they are all cult favourites. That’s a Moviedrome season right there, in fact, perhaps a little heavy on the SF and horror, but those are the genres in which Carpenter routinely worked his particular magic. As I’ve said before, the thing about John Carpenter’s career is that you have seven or eight really good years at the start, and then things start to go increasingly wrong as time goes by – of the films mentioned above, only They Live was made after 1982. Were it not for the fact that one of his very best movies, The Thing, came out in that year, you might even suggest that the law of diminishing returns was in effect right from the very start. Carpenter’s first fully professional movie was the original version of Assault on Precinct 13, in 1976, but two years earlier he managed the notable achievement of getting a project he started as a student film released in theatres. The film in question is Dark Star, which in its final version is basically a combination of SF spoof and stoner comedy. The film follows the mission of the Earth scoutship Dark Star, on its mission to prepare the galaxy for human colonisation. It does this by blowing up potentially hazardous planets with enormously destructive artificially-intelligent bombs. The mission has been in progress for twenty years (it’s suggested this may be on Earth, with relativistic dilation meaning the crew has experienced much less elapsed time), and time has taken its toll on things – the original commander has been killed in an accident with a faulty chair, leaving the reluctant Doolittle (Brian Narelle) in charge, there have been various other system failures, and the ship’s entire supply of toilet paper has self-destructed. The wonders of space and the possibilities of the infinite universe no longer hold any appeal for the crew – ‘Don’t give me any of that intelligent life crap, just give me something I can blow up,’ snaps Doolittle, when informed of the possibility of non-human civilisations in their vicinity. Instead the crew bury themselves in obsessive pastimes. Even the alien creature they have brought on board to boost morale has become not much more than an extremely annoying nuisance. Dark Star was made in the early 70s and eventually released in 1974, following the addition of extra footage to bring it up to feature length. It surely goes without saying that at the time, the SF genre was still overwhelmingly influenced by Kubrick’s 2001: A Space Odyssey – most films, whether consciously or not, were either trying to emulate it or reacting against it. Dark Star is obviously in the latter camp, and intentionally so – the film’s poster suggests it is ‘the spaced out odyssey’. Certainly the way in which the main plot (for want of a better word) is resolved by an epistemological discussion between an astronaut and a talking bomb feels very much like a parody of the cerebral concerns shot through the Kubrick film. That said, Dark Star itself turned out to be a hugely influential film in its own right, thanks not just to Carpenter but his main collaborator on the film, Dan O’Bannon (O’Bannon plays the luckless crewman Pinback, in addition to co-writing the script, doing the special effects, and providing various additional voices). If Dark Star ultimately feels like a slightly atypical Carpenter movie – he’s not noted for making flat-out comedies, and it doesn’t have the synth score you’d expect either, but a rather catchy country and western number as its main theme – then it’s almost certainly down to O’Bannon’s contribution. O’Bannon was hired off the back of Dark Star to do computer animation on George Lucas’ first stellar conflict movie, but rather more significant was another film directly inspired by Dark Star. In the centre of the movie is a long and improbably amusing sequence in which Pinback is tormented by the ship’s alien mascot (the creature is cost-effectively realised using an inflatable beach-ball and a pair of flippers), which lures him down various air and elevator shafts. 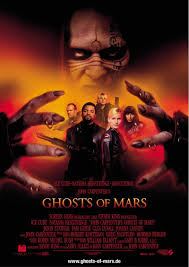 Audience response was somewhat muted, and it occurred to O’Bannon that there was the basis for a serious film here. Five years later, Alien was released, co-written by O’Bannon, and you can see Dark Star was a huge influence – the shabby, blue-collar astronauts of the Nostromo are a less eccentric version of the Dark Star‘s crew, and the two useless computers in the films could be identical. Not that it’s only Alien which owes this film a huge debt – any film which suggests space is simply a dull or dangerous place to work is operating in the Dark Star tradition. Is it stretching a point to suggest that the ‘used galaxy’ aesthetic which is so central to the look and feel of Lucas’ stellar conflict films was also taken from this movie? Whatever your thoughts on that, it’s very difficult not to see the long-running sitcom Red Dwarf as simply Dark Star retooled as a TV show – it has bored, slovenly crewmembers, less than helpful AIs, a dead crew member as a key character, and a ridiculous ship’s ‘pet’. It’s not even as if they try that hard to hide it – a red dwarf is a dark star, after all. 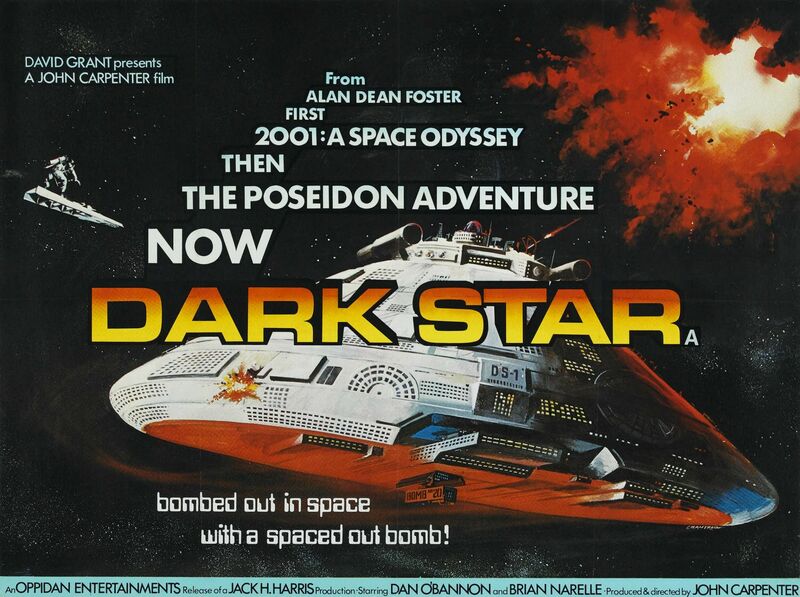 For a new viewer today, Dark Star is not quite the polished production one might expect from a contemporary SF movie, simply because it is ultimately a student movie given a cash injection – ‘the world’s most impressive student film… became the world’s least impressive professional film’ O’Bannon somewhat ruefully observed, many years later. It does look primitive, and the fact that none of the performers involved went on to have any real acting career afterwards should tell you something. But the film is still funny and charming, in an offbeat way – almost certainly still worth watching on its own merits, and absolutely worth watching as an enormously influential film in the history of the SF genre. Our look at the shape of Things gone by continues as we look, with some degree of inevitability, at John Carpenter’s 1982 version of the famous story. This is a movie which was a fairly spectacular flop on its original release, marking the end of Carpenter’s time in the top flight of Hollywood directors, but the years and word-of-mouth have been very kind to it and these days it can boast an enviable reputation. Certainly, when I was but a lad, The Thing was the subject of much awed discussion around school – said discussions mainly revolving around whether you were hard enough to watch it all the way through without crying or being sick. ‘What about that bit where it comes out of the dog!’ was a commonly-heard utterance, spoken in a tone of awed disbelief. Lacking in physical, moral, or intellectual courage, this sort of thing put me off a bit and I managed to avoid seeing the film all the way through until many years later – although a TV documentary on the history of special make-up effects helpfully introduced me to most of the key sequences. And then when I did see it, it was a hacked-about TV edit that really did the coherence of the movie no favours. What I’m really trying to say here is that I’ve always had a slightly ambivalent attitude towards this film and wasn’t particularly impressed when I eventually caught up with it. If it weren’t for the release of the 2011 remake I probably wouldn’t have gone back to it at all. However, more than once in the past it was only on the second viewing that I really understood when a film was coming from. And in this case…? Hmmm. Winter, 1982, and the personnel at a US research outpost in Antarctica (quite what they are researching is never made clear, but they are well-provisioned with flamethrowers, dynamite, roller-skates and Stevie Wonder tapes) are surprised to find their camp receiving an unscheduled visit from some Norwegians from down the way. The Norwegians are frantically shooting and lobbing bombs at a dog, for reasons which are not immediately apparent, and not being especially good at this sort of thing it does not end well for them: one of them blows himself up and the other is shot dead by one of the Americans on health and safety grounds. The outpost’s chopper pilot, MacReady (Kurt Russell), wisely attempts to discover what the Norwegians were up to, while the rest of the camp, unwisely, adopts the dog. MacReady visits the Norwegians’ own base and find it in ruins, uninhabited except for a team of researchers making notes for the prequel. He also discovers videotapes of the Scandinavians re-enacting scenes from the 1951 version of the story. The Norwegians discovered an alien ship entombed in the ice, and the frozen remains of an occupant not far away. The alien, it appears, thawed out and wreaked terrible havoc before being incinerated. But why were the last two survivors so fixated on shooting the dog…? Well, once again I must put my hand up: whether you view this film as an account of a terrifying incursion by a hostile extraterrestrial life-form, or simply an unfortunate misunderstanding between an innocent alien missionary and some limited and ignorant Terran bipeds, this is a film which demands to be taken seriously. One can kind of see why the film was so negatively reviewed on its original release – I can barely imagine the effect watching it would have if you went in completely unsuspecting what awaited you. Famously, it came out on the same weekend as E.T. The Extra-Terrestrial – now that’s what I call providing consumer choice! – and there’s no question as to which film has wider appeal: all The Thing wants to do is freak you out and mess you up, offering only the faintest grace notes of humour and hope throughout its running time. The most striking aspect of The Thing is the creature itself. The sequences where it physically manifests are, to put it mildly, memorable – although there are only a handful of these moments in the film, they brand themselves into your memory and you come away thinking there are far more than is actually the case. It’s the inventiveness of their conception as much as their visceral goriness which make them work as well as they do – even after multiple viewings, the defibrilator moment and its aftermath is still an astounding feat of film-making. Even this, though, is made possible by the concept of the Thing itself – a form of life so utterly alien and different that it almost defies description. The Thing operates like a viral infection more than a traditional in-the-flesh monster, and it’s this that makes it so frightening. The film strongly suggests that individuals infected/replicated by the entity aren’t even aware of the fact – even that its powers of mimicry extend to features such as psychological flaws and weak hearts. Is the Thing even conscious, as we understand the idea? Does it have an agenda of any kind? Quite properly, we are left to ponder. However, The Thing is an 109-minute film, and – although I haven’t got my stopwatch out – I would be surprised if the entity itself is doing its spectacularly disgusting thing on-screen for a tenth of that time. The gore freak-outs are really just punctuation points in a story which for much of its running time relies on atmosphere and character to keep the audience gripped. Kurt Russell gives the performance of his career as MacReady, but there’s a terrific ensemble performance from everyone involved – Keith David gives an eye-catching turn, and there’s solid support from veterans like Wilford Brimley and Richard Dysart. The developing narrative of the film, and with it the increasing distrust and paranoia between the members of the team, is relentless – as it surely had to be – and very tightly focussed. For most of its length, this is an intensely economical film – another reason why the pyrotechnic excesses of the special effects are so striking. Even Ennio Morricone’s score eschews lavish arrangements for a very spare theme which, to be honest, strongly suggests the great man is pastiching the style of John Carpenter’s own compositions! One thing that The Thing doesn’t do is try too hard to ape the 1951 version of the story – the full-body burn sequence from the original is recreated, and the Norwegians’ home video shows them repeating a key scene, but that’s really it. The conflict between the military and scientific philosophies and the close camaraderie of the human characters are both completely absent. I say this not as a criticism, because I think every film’s first objective should be to work on its own terms, and surely one of the reasons why The Thing works as well as it does is because it isn’t afraid to follow its own path. Well, no matter what the quality of the new Thing is, it has at least made me come back and look again at this version, and I’m very glad I did. This still isn’t my favourite John Carpenter movie – for which, see 1976’s Assault on Precinct 13 – but it seems positively perverse that such an accomplished and impressive movie was so badly received that it effectively crippled his career. 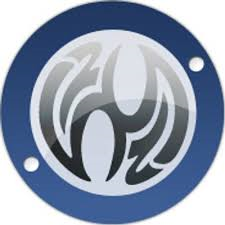 And as to whether it’s better than The Thing from Another World… I don’t know. I have such a fondness for that movie, and the two are so different. But the next time someone tells me that The Thing is a classic of both horror and SF film-making, I will happily agree with them.